The contract, which was awarded by ENGIE Workplace Solutions in January, will see the electrical compliance specialist test around 23,000 PATs annually. Calbarrie provides a range of electrical compliance services across the UK and employs over 100 engineers nationwide. The portable appliance testing services at Hinkley Point B will be delivered by a qualified team of Calbarrie engineers who are based in the south west. They have demonstrated their ability to meet the rigorous safety, security and environmental standards required by the contract. 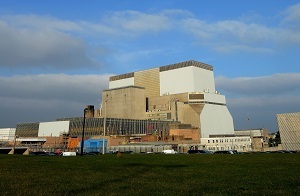 Tim Beardsmore, Calbarrie’s Commercial Director said: “Our engineers have been deployed from the Bristol area to carry out the PATs at Hinkley Point B. They are a highly skilled team with experience of working on challenging and secure sites. Calbarrie has won a RoSPA Gold award for its overarching occupational health and safety management systems, including practices such as leadership and workforce involvement, and has been awarded Constructionline Gold membership for enhanced standards in environmental and quality management and equal opportunities. The testing of portable appliances at Hinkley Point B is due to start in April.